My youngest brother's birthdya cake. The boy likes milkshakes, so I made a miilkshake flavoured and themed cake for him. His favourite flavour at the moment is coffee, so this was a coffee cake, with coffee icing, and a lot of squirty cream. It came out a little squat looking, so could maybe have done with an extra layer for height, but overall, not too bad. I made a BIG batch of coffee cake mix and used, one giant cupcake shaped tin, and two 6 inch round tins for making up the necessary cake. 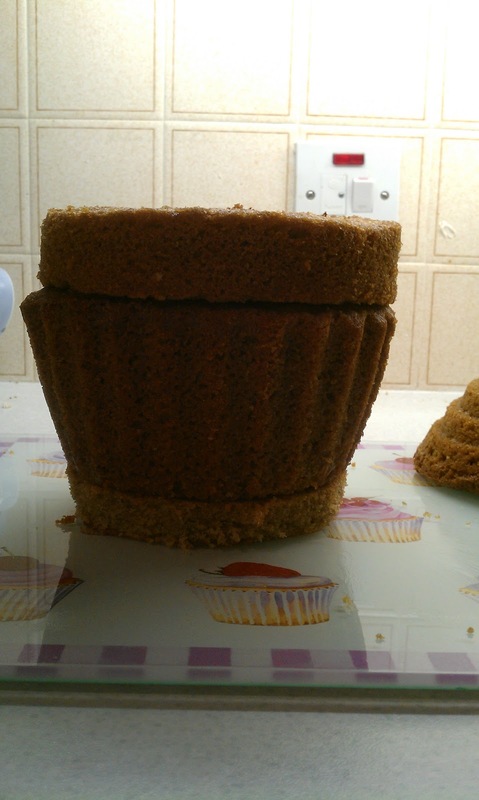 The giant cupcake was hollowed out, and the lower portion, made to have a hole straight through. 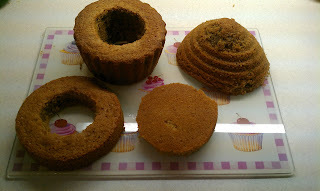 The first 6 inch round cake, was also made into a ring, which fit nicely on top of the hollwed out cup cake body. 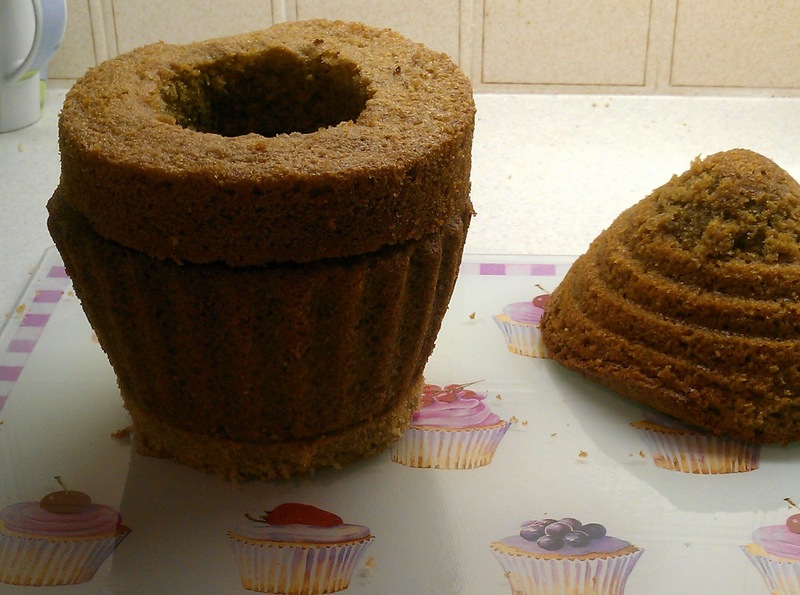 The second 6 inch cake was to sit at the bottom. 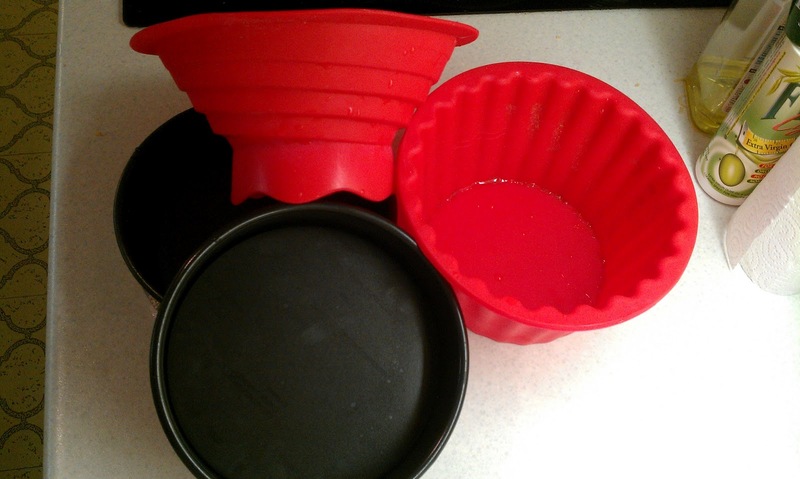 It was trimmed down to be the correct width to sit under the cupcake piece, to make a glass shape when all of the cake pieces were stacked. I didnt throw away any of the cake which was cut out, oh no! I took all of the pieces and made the milkshake flavour filling with them! 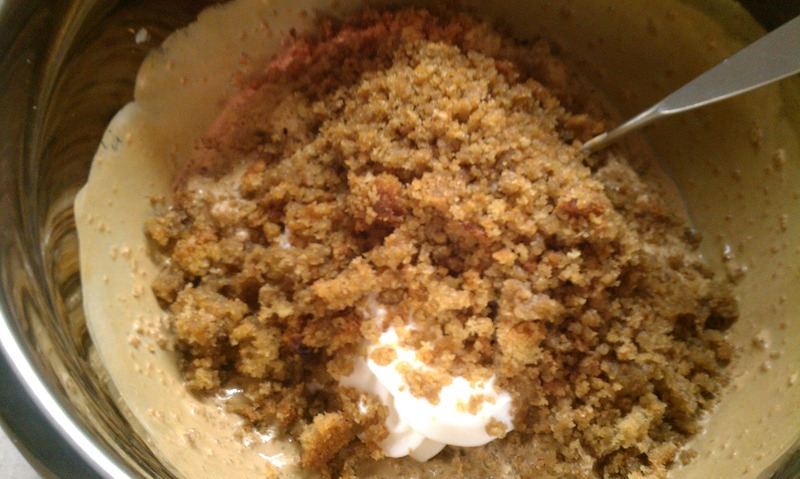 This was done by putting some strong, cooled coffee in a large bowl, adding lots of whipped cream, and then adding the cake pieces, which had been crumbled to fine crumbs. All of this was mixed together to make a nice goopy, creamy milkshakey mix, which I would later be adding back into the hollowed out cake! 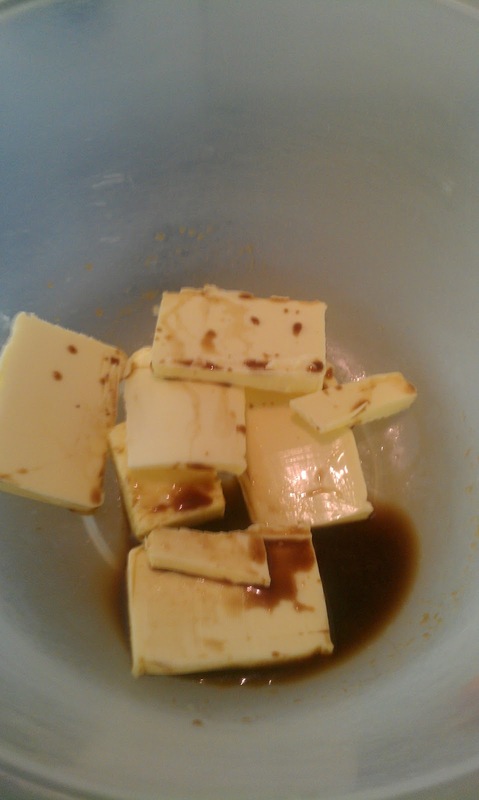 I got some icing onto the thee bottom layers of the cake. To do this I made up a coffee flavoured buttercream, sandwhiched each layer together, and then smothered the outside of the cake in buttercream until the cake was smoothed out, and you couldnt tell that actually the tiers were ever so slightly (ahem really quite a lot) different in widths where they met. Icing will hide all evils. 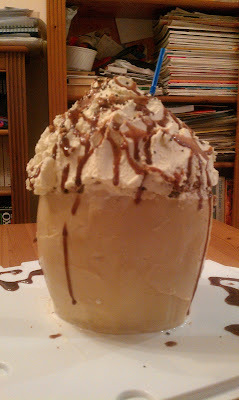 I used a heated (with a cupful of hot water) palette knife to make the icing super smooth and a bit glossy around the whole of the "milkshake glass" section. 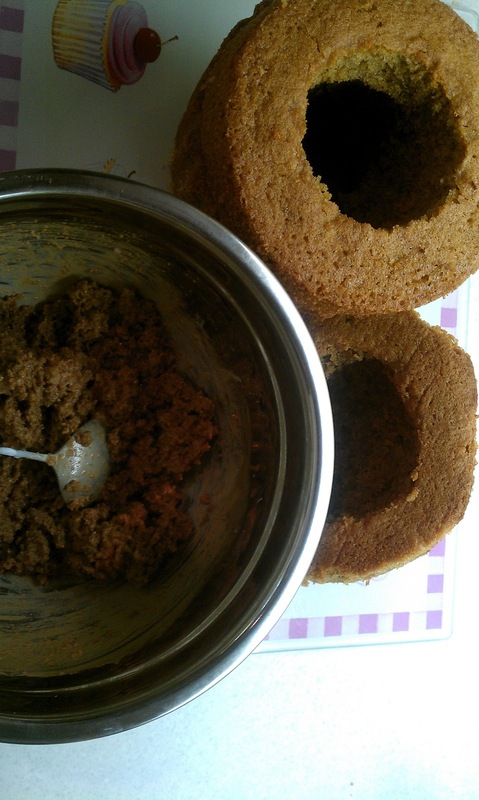 Once this was done, I put my milkeshake, cake crumb mix into the hole through the middle of the cake, and the hollowed out bit of the top, and placed the top on. 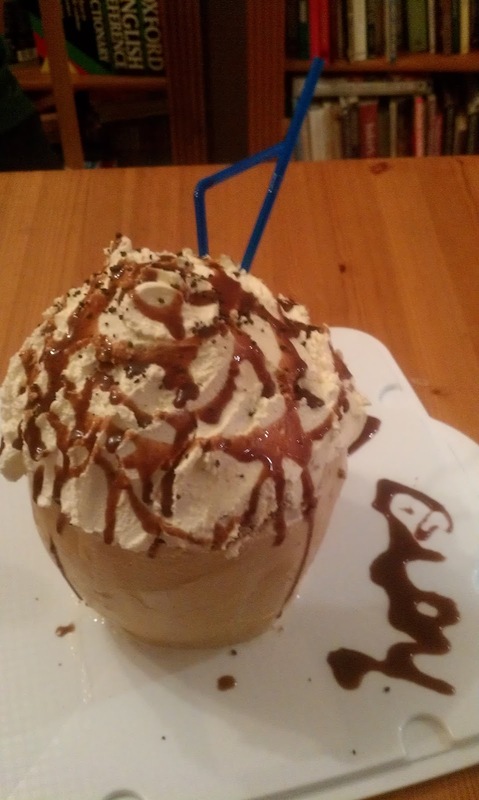 This then had a mountain of whipped cream squirted all over it, and chocolate sauce dribbled down it, and chocolate sprinkles thrown over it. Finally I popped in a couple of straws to add to the decoration! 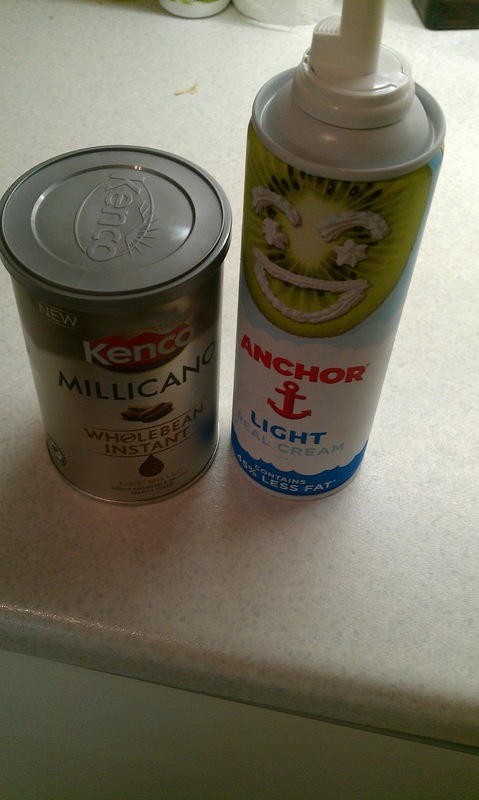 Super shake!